Dr. Kathlyn M. Cooney aka Dr. Kara Cooney is an Egyptologist and Assistant Professor of Egyptian Art and Architecture at UCLA. She was awarded a PhD in 2002 by Johns Hopkins University for Near Eastern Studies. She was part of an archaeological team excavating at the artisans' village of Deir el Medina in Egypt, as well as Dahshur and various tombs at Thebes. In 2002 she was Kress Fellow at the National Gallery of Art and worked on the preparation of the Cairo Museum exhibition Quest for Immortality: Treasures of Ancient Egypt. She was a member of the teaching staff at Stanford and Howard University. In 2005, she acted as fellow curator for Tutankhamun and the Golden Age of the Pharaohs at the Los Angeles County Museum of Art. Raised in Houston, she obtained her B.A. from the University of Texas. 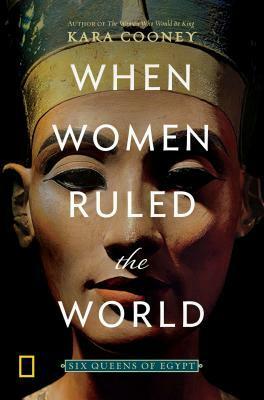 She worked on two Discovery Channel documentary series: Out of Egypt, first aired in August 2009, and Egypt's Lost Queen, which also featured Dr. Zahi Hawass.